If you cannot afford to shell out £200 or more on a flashy new Sony e-reader this Christmas, then you might be glad to hear that Nintendo is launching a slightly more affordable electronic book package, in the shape of its 100 Classic Book Collection package for the good ol' DS. Whether or not you will want to read books on the DS's slightly small screens is of course a different matter entirely. 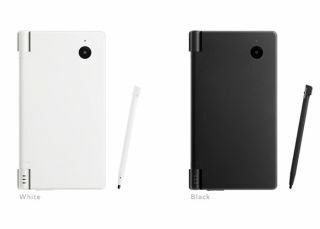 It will clearly not be as high quality as the e-ink screens on the dedicated devices from the likes of Sony, BeBook, Amazon (with its currently US-only Kindle reader) and others. Although it might be a nice cart to have in your DS bag, for when you get a bit bored of Brain Training, Mario Kart or Zelda for the umpteenth time. Nintendo's confirmed this week that the title will also feature Wi-Fi connectivity to enable you to download more books down the line. You can also change font sizes, bookmark pages and search for text or quotes, which all sounds rather handy. Strangely though, this 'perfect stocking filler' software releases on… wait for it… Boxing Day! (according to news over on ElectricPig.tv at least).